A blog is a website or a page on a website where an individual or group of individuals regularly share their personal experiences, thoughts, and records similar to the entries of a personal diary, or their knowledge, views and ideas on a single topic or multiple topics to an audience. The personal stories and knowledge expressed on the blog are termed "the blog posts" and are usually displayed in a manner such that the most recent post appears first and at the top of the page. A comment section is usually provided at the end of each blog posts for discussions and feedbacks. The process of managing and updating a blog is termed blogging whereas the one who performs these activities is called a blogger. The term "blog" can also be used as a verb (to blog) meaning to maintain or add contents to a blog. The community of all blogs and bloggers is known as blogosphere. 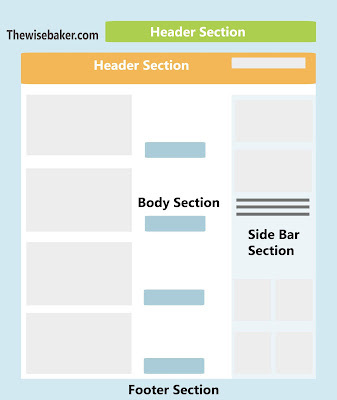 The traditional blog layout consist of sections as shown in the graphics below. However, blogs can have different layout and on-page elemental arrangements according to preference. 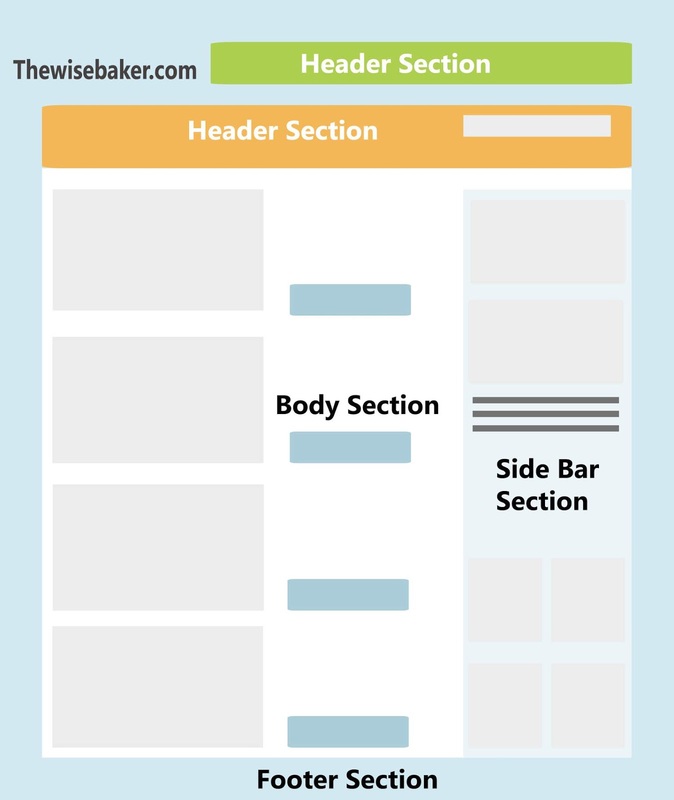 The Header: Commonly displays the blog's heading, title, logo, search box, and sometimes a bar called the menu or navigation which usually contain links to some important categories and pages. The Body: This section usually contains the blog posts, comments and subscription forms. The Side Bar: Usually hold elements like: texts, advertisements, some useful links, trending posts, categories, author bio, social profiles, contact forms and more. Thematic Blogs: They focus on one particular topic or more. Examples are political blogs, news blogs, food blogs, music blogs, review blogs e.t.c. Personal Blogs: They focus on sharing personal stories, thoughts, works, and experiences of the blogger. Business Blogs: They are owned by businesses and they often blog business related contents like promotional offers, their product reviews, articles and news relating to the services and products they offer e.t.c. Single author blogs: One contributor. Photo blogs (Plogs): They are blogs made up entirely of image blog posts. Audio blogs: They are blogs made up entirely of audio blog posts. The standard blogs: Their blog posts can contain a mix of several digital contents. Profitable Blogs: These are blogs that are profit oriented. Non-profitable Blogs: These are blogs that are not profit oriented. Examples are wikipedia blogs. Here are some blog examples from different niches. This website you’re currently reading is an example of a single author blog focusing on the "blogging" niche. Wikihow.com is an example of a multiauthor thematic blog focusing on the "how to do anything" niche. mummysyum.com is an example of a single author blog focusing on the "food niche". Like many other things, blogging has its good side and bad side. For anyone thinking about starting a blog, the advantages and disadvantages is something they must consider first. I have written a thorough article on this. You can check it here. How to create blogs and manage them. To be able to create blogs and manage them online without programming knowledge, you need a blogging system. A blogging system is simply a web host running a blogging software on it. Web hosts can run their own blogging software, have exclusive agreements with a software provider to run its software, or offer a variety of blogging software in general. The web hosting part is necessary to create an existence for your blog online while the blogging software allows you to build, publish and manage contents on the blog. I'll take you through these terms one after the other so you can understand things clearly. A web host is a company that provides the equipments and services needed for your blog to be accesible on the internet. In that manner, your blog will have a physical location on the internet and can be reached by anyone through your domain name (i.e www.youblog.com). A lot of web hosting providers are domain registrars, meaning you can purchase and register a domain name with them. A quick note: You will need to register a domain name first before you can purchase a hosting, after which you will need to point the domain name to the website's hosting. Domain name is your blogs address, while the hosting is where it resides. Get it? Free web hosts will usually allow you to create websites and manage them without the need to purchase a hosting. You only need to register an account with them to start creating blogs. However, on a free web host, you dont actually own your website. Most at times the blogs they offer you are a subdomain of the main web host's website. For instance, if the web host is www.freewebhost.com, your blog's domain and any other blog you create on the free web host will be in the form "www.yourblog.freewebhost.com" rather than "www.yourblog.com" or any other extension (.org, .me e.t.c). In any event, that the web host shuts down or the service is suspended, your blog will cease to exist. A blogging software is a program used to build blogs and a majority of them require zero programming knowledge to be used. They are also content management systems, since they allow you to publish, manage and keep track of your content online. Majority of the day-day blogging happens in the blogging software. In there, you can apply themes to your blog, create blog posts, manage subscribers list, comments and authors, track website progress through analytical tools and promote blog using the marketing tools. A blogging system as said earlier, is a web host running a blogging software on it. It refers to the overall service that allows users to create blogs and manage contents online. The 'service' there comprise of all the components required to setup a full-working blog online i.e a domain name, a domain hosting (all together web hosting), and a blogging software (the platform to blog). ➽You can opt for a web host that runs its own blogging software, or have an exclusive agreement with a software provider to run its blogging software i.e a Hosted blogging system. This way, no need to find a third party web server to host your blog and no need to bother with the software installation process. Hosted blogging systems can offer free hosting which usually attaches a free subdomain to your blog or paid hosting. The former often comes with so many draw backs-- such as limited functionalities, having to run their permanent advertisements on your blog, having to use an unprofessional domain name (subdomain), limited customizations and many more. However, some of these platforms can allow you to subscribe for upgrades to get rid of the limitations and enjoy even more flexibility and features. One impressive advantage of using a hosted blogging service as a blogging newbie is that you dont need to worry about blogging software maintenance and all those 'behind the scene' technical issues. To use a hosted blogging system, all you need to do is simply visit the platform, sign up for either their free or paid plan and start creating blogs. If you want a personal website, you can start with a hosted blogging system on a free plan and then upgrade when you feel you need one. But if you're a business, hosting your blog on your own servers or with a third party (paid) web host, or better still, a premium plan on a hosted blogging system that gives you full control over your hosting would be better. Its 2019, almost anyone with good writing and researching skills, that have full access to the internet can setup a blog. Creating a blog and managing it online even when you dont have coding skills might seem cumbersome too, but when you make a sense of it, you'll see why there are millions of blogs on the internet today. To start and run a blog online, you can follow these steps. 1:Register with a platform of your choice, and opt for any of their free or paid plans. 3:Design your blog and start posting contents. 4: Access the software, and learn to use it. 6: Start designing your blog and posting content. Worth noting: there are some offline website builders (self hosted blogging system) that offer blogging softwares you can download and install on your pc to build and manage your blogs. However, you will need to host your blog on your own servers. You can save yourself the hassle by using an online website builder. How can I get people to visit my blog? Having a great design and publishing great contents only, is not enough to guarantee visitors to your blog. You need a strategy that will give you exposure and put your contents right in front of the people who need them, and that is popularly what blog content promotion is all about. 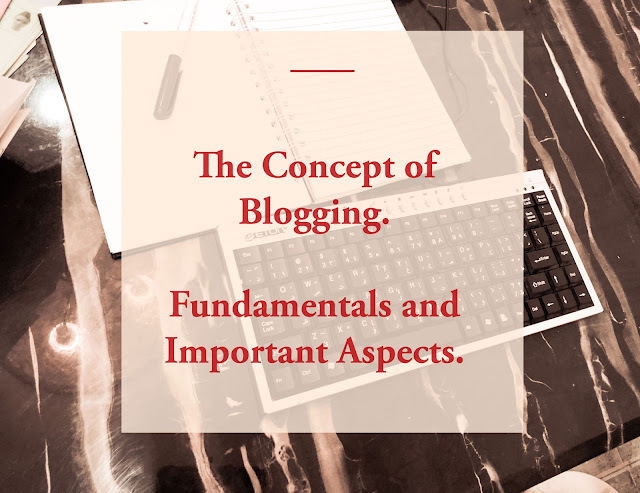 Infact, most blogging experts will recommend you spend more time of your day-day blogging promoting the contents you already have rather than creating new ones. Here is a quick run down of some of the best tactics you can use to promote your blog contents. Search Engine Optimisation (SEO): Using this strategy will give search engines like “google” “bing” and others, every reason to trust your contents and show it as a top search result whenever a search related to the content is made. The result? free organic visitors to your blog! Paid Advertisements: You can decide to pay search engines, social platforms, and other blogs and websites to promote your contents to their audience. You can share your contents on your social media platforms, or ask a friend to help out. You can ask other bloggers to make mention of your content to their audience. You can ask influencers to share your contents. Create a strategy to collects the emails of the traffic already visiting your blog, and then promoting your next contents directly to their inbox. How can I grow influence and authority for my blog? Gaining influence and authority is usually a side reward of an effective blog promotion and relationship building. When you succeed in building recurring traffic and relationships with top bloggers, you gain influence and authority naturally with time. You should always bear in mind that an effective blog promotion always starts with helpful, quality and engaging contents. So make sure to deliver that first. Read here: How to build relationships with other bloggers. The next step after a successful blog promotion is usually blog monetization. You would want to be able to convert the traffic you’re getting on your blog to something of value. There are several ways successful bloggers use to monetize their blogs. Here are a few to mention. By serving advertisements of third parties through ad networks on their blogs, and getting paid whenever someone views or clicks on them. Through sponsored posts: By getting paid to write an article or to post an article on their blog. Affiliate marketing: By linking to products and services of third parties on their blogs and getting paid whenever someone purchases the services or products through these links. By directly advertising for third parties on their blog. Read here: How to monetize your blog. A domain name: This is the address where internet users can access your website. A domain name registrar: This is a company that offers the service of registering a domain name. A domain host or web hosting provider: A domain host is a company that provides the technologies and services needed for your website or blog to be viewed on the internet. Every website must be hosted to be viewed online. A Content management system: Also known as a blogging software (or a blogging platform), is a program used to manage and publish contents of a website i.e build blogs, create pages, create posts, update blogs, e.t.c They make the management of websites simple. Blogging System: It refers to the overall service that allows users to create blogs and operate them online. The ‘service’ there comprise of all the components required to setup a full-working blog online I.e a domain name, a domain hosting (all together web hosting), and a blogging software (the platform to blog). Subdomain: These are domains that are part of a larger or root domain i.e if the root domain is 'www.rootdomain.com' then the subdomain is 'www.subdomain.rootdomain.com'. Traffic: The audience and readers of blogs are known as traffic.